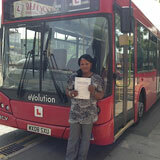 It is possible to make a living just by learning to drive proper vehicles and getting proper licenses. The numerous factories all over Europe requires transportation of goods from one place to another and by learning to drive a goods transport vehicle as well as acquiring a valid license would enable you to earn money. 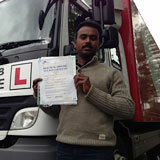 The best place from training in driving is GP training in Southampton, London. You can choose among the various programs offered like LGV (HGV) training, PCV training or driver CPC training based on your requirements. All you would need to join us is a willingness to learn, we would take care of the rest. The biggest problem that many people face while learning to drive in Southampton, London is that the inability to follow instructions given in English. If you too are not comfortable with the language English, do not worry and just come down to GP training. The trainers we have are not only registered with the Driving Standard Agency or DSA and are all ADI or Approved Driving Instructors but are multilingual too. If you are not comfortable in English, you would be given instructions in a language that you are comfortable in. The theory books available at GP training are multilingual too, for your convenience. Theory books are important while training for driving since driving is not only about practical lessons. You must also be aware of the road safety rules, traffic laws and other regulations for your as well as for other people’s safety. Keeping this in mind, the training modules at GP training are designed with a combination of both practical classes and theoretical classroom lessons. This would ensure that once your training ends, you not only pass your driving test with flying colors and get your desired license but you become a skilled and knowledgeable driver as well. If you are keen to make a career out of driving good vehicles, you should opt for the LGV (HGV) training program through which you can apply for C1 - license, C1 + E - license, C1 + E – 7.5t + trailer, C – up to 32 tons, C + E truck & trailer. All are for rigid vehicle except the C1 + E license, which is for articulated vehicles. 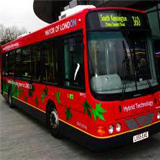 If you are interested in driving passenger vehicles, you can opt for the PCV training that has several categories like D1 minibus, D1 + E minibus & trailer, D automatic bus, D manual coach, D + E coach & trailer and so on. You can choose as per your requirements. Among the above categories only the D1 minibus and the D automatic bus are meant for driving vehicles that are manually operated. There is another special training meant for driving vehicles that are used for towing cars or trailers, B + E car and trailer training. There is a maximum authorized mass or MAM that would decide whether you would need a B license or a B + E license. 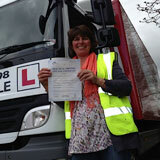 At GP training, we would train you to drive a towing vehicle for the license you wish to apply for. There is a latest requirement that even if you have a PCV license or a LGV (HGV) license, you would need to furnish a CPC driver license too to drive professionally. 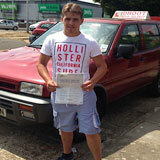 Hence, we at GP training also provide CPC driver training to help you get the license to drive professionally. While there are several driver CPC modules, initially you just need to quality for the driver CPC module 4 and 2. The module 2 of driver CPC deals with CPC case studies that would help you to understand the on road real life situations better. 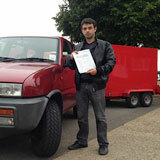 The module 4 is the practical test of the vehicle you would be driving professionally. For completion of driver CPC training qualification, you would also need to undergo a periodic 35 hours of training in every 5 years time. 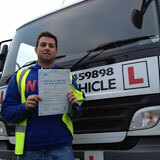 Once you complete it, you would be a professional and skilled commercial driver. There are other things like documentations too, in the way of getting a valid license apart from just learning how to drive properly. Along with training you to drive and helping you to get your desired license, we assist you in filling all the necessary forms as well, like the D2 or the provisional entitlement form and D4 or the medical form. 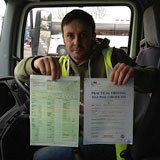 We also take the responsibility of submitting these forms on your behalf to DVLA. You can also get pass protection as well as PCV pass protection at GP training that would enable you to appear for a retest, if you fail or cannot clear the tests for the first time. You can visit us at GP training in Southampton, London, if you want to find out more about our services and training programs.